As a Machinist I’ve been making things my entire life, and some of the most rewarding have been the few simple wedding bands requested by friends over the years. Knowing that these items would be given in love and worn with pride always motivated me to make them as perfectly as I could. So when I was lucky enough to find the one who would become my wife, I felt compelled to make a ring that captured just how unique and special she is to me. Her request was for a simple band without any stones. With that in mind, I spent many months brainstorming and experimenting with designs in CAD, trying to create something that, while holding true to the minimalist look and feel she desired, would hide a secret that the two of us could share. 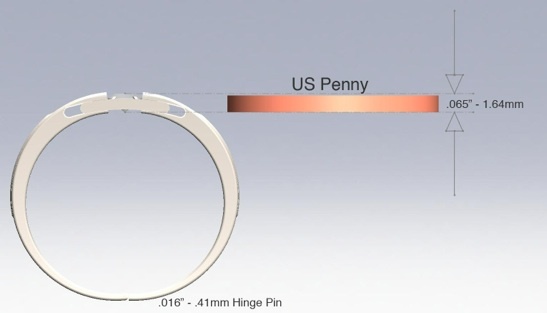 Great effort was taken to make the ring appear seamless and understated, no larger or obtrusive than a simple size 4.5 band. Form followed function as aesthetic considerations provided the dimensional limits of the band. Inside of this footprint I was free to let the design flow and evolve where ever the process took me, but always remembering to be mindful of the desired result; Clean lines, smooth surfaces with a modern minimalist look and feel. With a gentle yet firm outward pull from both sides, the ring opens to reveal the diamond. 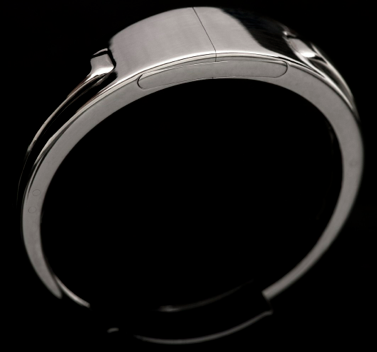 With light pressure from both sides, the ring shuts with a positive and audible click. 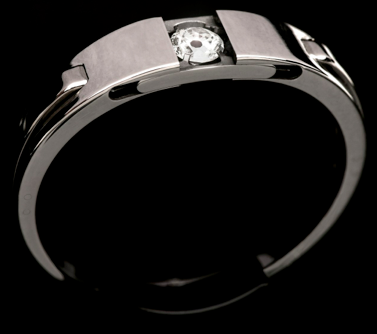 When closed the ring feels solid and secure without even a hint of the hidden gem or the mechanism that encloses it visible to the naked eye.